MILWAUKIE, Ore., (October 11, 2018)—With their series House of Penance, Peter Tomasi (Superman, Batman, Green Lantern) and Ian Bertram (Batman Eternal, Wolverine and the X-Men) wove a macabre tale of guilt, ghosts, and guns, in a fictionalized account of Sarah Winchester’s descent into madness. Now, Dark Horse is proud to present a deluxe library edition collecting all six issues of House of Penance in an oversized hardcover format with new cover art, sketchbook extras, and more. House of Penance is a horrific tale of how fortune brings misfortune, as a grim and determined woman oversees the construction of a house twenty-four hours a day for twenty years mission to wash away the blood curse of her husband’s invention, the Winchester rifle, from claiming her own life and soul. 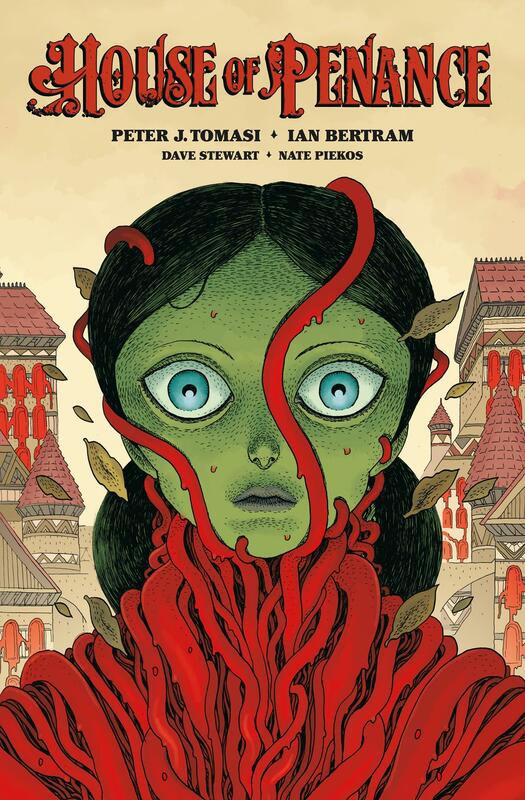 House of Penance Library Edition HC goes on sale March 27, 2019, and is available for pre-order at Amazon, Barnes & Noble, and your local comic shop. This 176-page volume retails for $34.99.